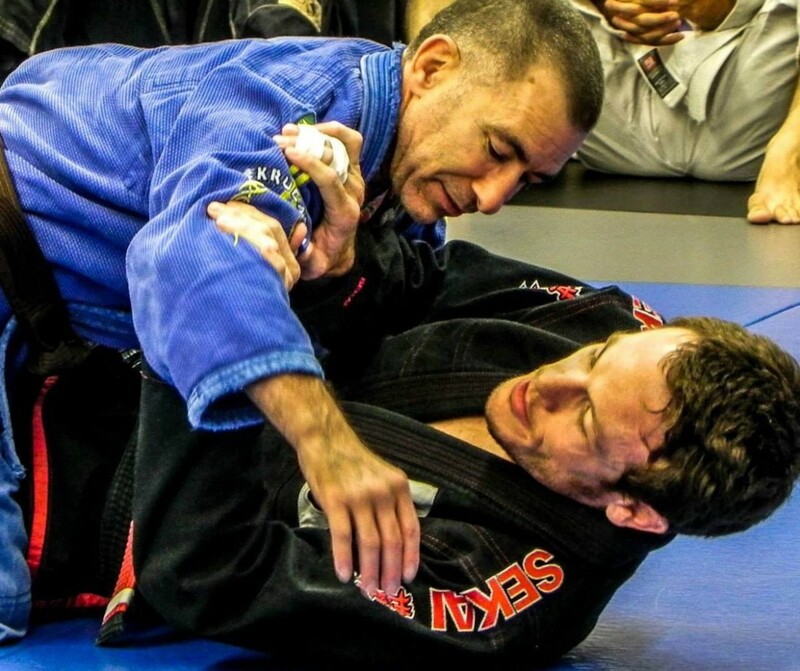 Spider and X-guard are two of the more established types of open guard for competition in BJJ. 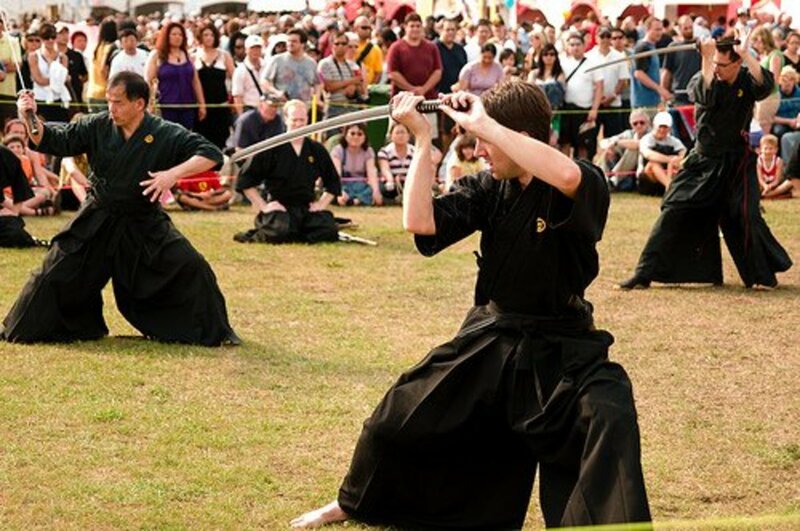 Spider has been used in competition since the earliest days, although the position has evolved considerably, and X-guard has never stopped evolving since its debut on the competition scene in the late 90s and early 2000s. Because of the nature of the positions, there's some crossover, and it's actually pretty easy to transition from the much longer ranged spider into the mid-range X-guard. Here's one way. Starting with your right foot in your partner's biceps, shoot your left leg underneath your partner's legs. As you do this, use the control you have with your left hand on your partner's sleeve to bring yourself far underneath your partner. Next, bring your back leg in first (your knee will stay behind their hips, but your foot will weave in front, creating a classic second X-guard hook). 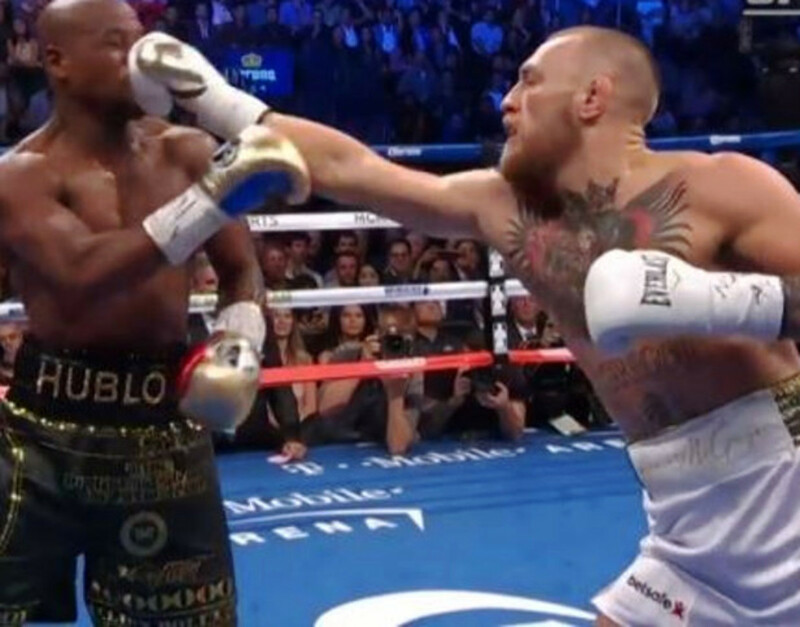 Now release the biceps control you have with your right leg, and shoot that through so that you can get the second hook. At the same time, swim your left arm underneath their near leg. Try a really easy sweep first by stretching your partner's legs out. Once their base is wide left to right, it's extremely narrow front to back. Sweep them to the back by lowering your "knee hook" down behind their ankle. 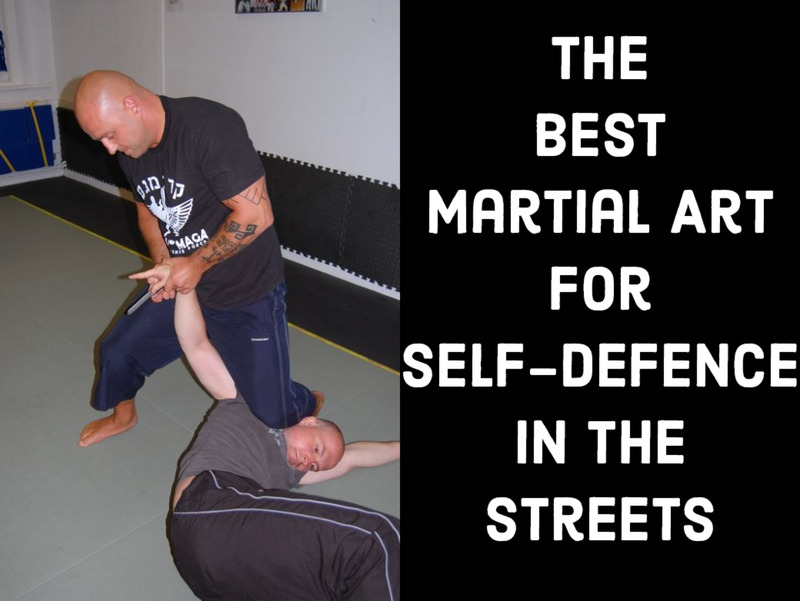 Start with the same entry, getting far underneath your partner by swinging yourself there. This time, as you stretch your partner out, they elect to base far forward, nullifying your original sweep intention. This time, reach for their near sleeve (they're going to give this to you as they post with their hands). Remove your right foot from behind your partner's knee and step on their triceps with it, holding their sleeve in place while you make this adjustment. This should enable you to bend their arm and pull their sleeve toward you, causing them to lose their balance. As they start to fall, track their kneecap with your hips, following during the roll. You can finish the kneebar a variety of ways. If you stretch your partner out here, you can also reach for the far sleeve, and this opens up an entirely different route to the finish (and a different sweep as well). Your partner's balance should be very far forward at this point, and if you just pull the sleeve in toward you, you can topple them over their shoulder. Keep the sleeve grip, and follow to the top for the finishing armbar. For more submission finishes from X-guard, check out this tutorial. Many folks like to use double sleeve control when getting underneath people, but I prefer to use the collar grip nowadays. I feel much more connected, my partner can't fully stand up to break the grips, and I can swing myself underneath them with the lapel grip much easier. 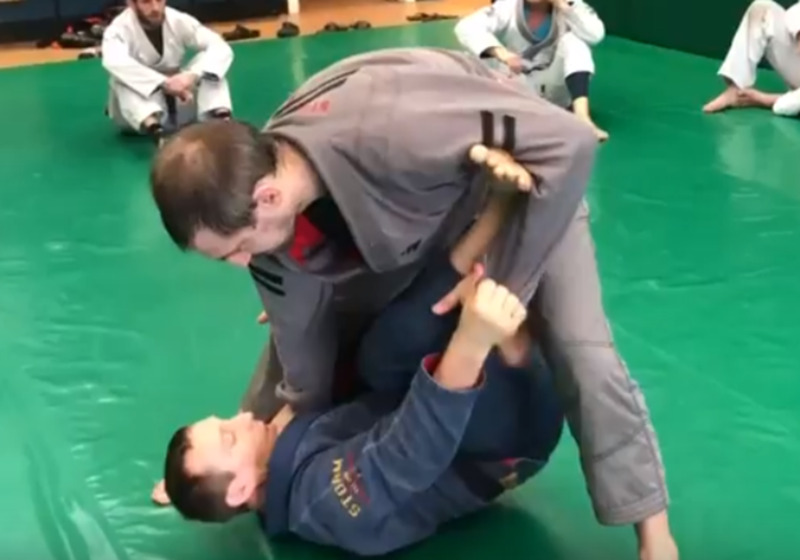 This is more of a personal preference for me, but it's worth trying both approaches (note that I use a Leandro Lo sweep in the video here as opposed to a proper X-guard finish, but this concept applies for both situations). As you navigate through a mashup of two intricate guard systems, consider how much more complicated (and hard to pass) your guard can become by weaving two systems together. The best guard players in the world don't always know tons of types of guard, but they are very, very good at weaving the types of guard they use together. 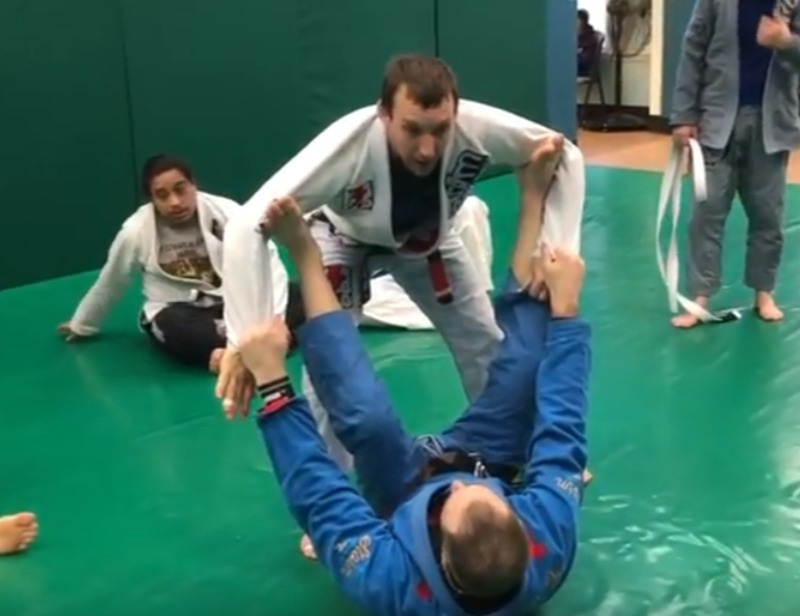 If you're fortunate enough to be good with both X-guard and spider guard already, you can easily start using both in combination, causing confusion and perplexity with your training partners! As always, let me know how this stuff works out for you. Not sure. Which sweep combination are you referring to? Hey man.Can you teach me the sweep and rear naked choke combination from the rubber guard?Please reply.